What is it with jump shots that we really enjoy? 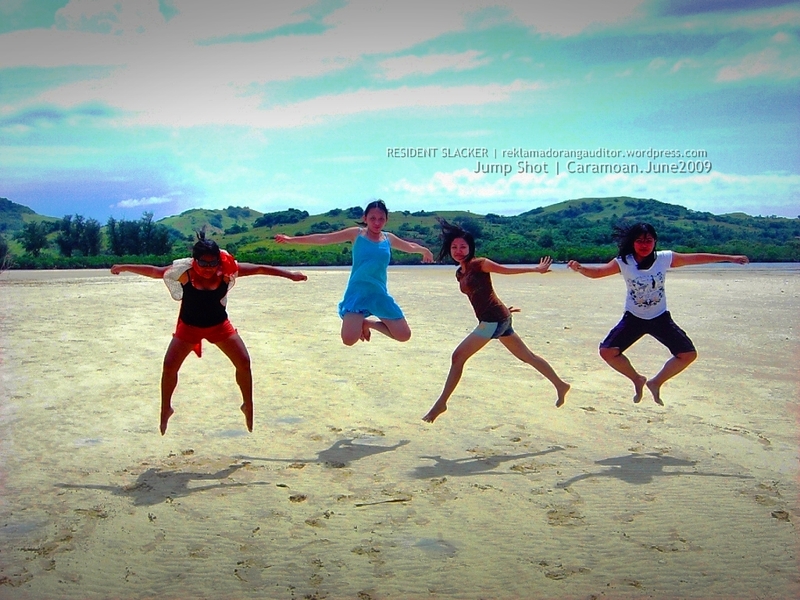 One common-and-classic-but-fun thing to do when cam-whoring is posing for a jump shot; but for a shutter-bug like me, hindi lang pagpipikchur ang habol ko sa mga jump shots, gusto ko kasali din ako sa pictures! hehehe! Is there a trick when shooting a jump shot? Personally, ‘pag ako yung nagte-take ng pic for jump shots, I just simply have to set my cam to “continuous-auto-mode” and let the subject/s do their act in unison while they do the counting and I do the clicking of the shutter; bahala na kung labo-labo, pipili na lang ng magandang kuha…hehe at ‘pag walang matinong jump shot, papaulit na lang! hahaha! Of course I do set a nice background para mas may dating yung picture… at mas okei para sakin if medyo hilly yung location, para sky yung background; kunwari mataas talaga yung jump! hehehe! 1. Choose shutter-priority mode. 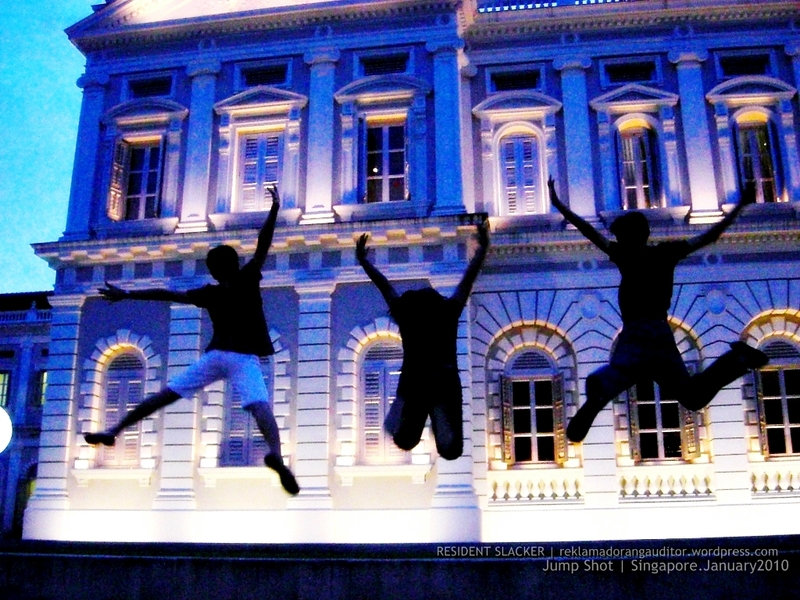 Fantastic-looking jump shots freeze your subjects while they’re at the peak of their jump. That is why it’s important that you set your camera on shutter-priority mode and choose a shutter speed of around 200-1000s of a second. 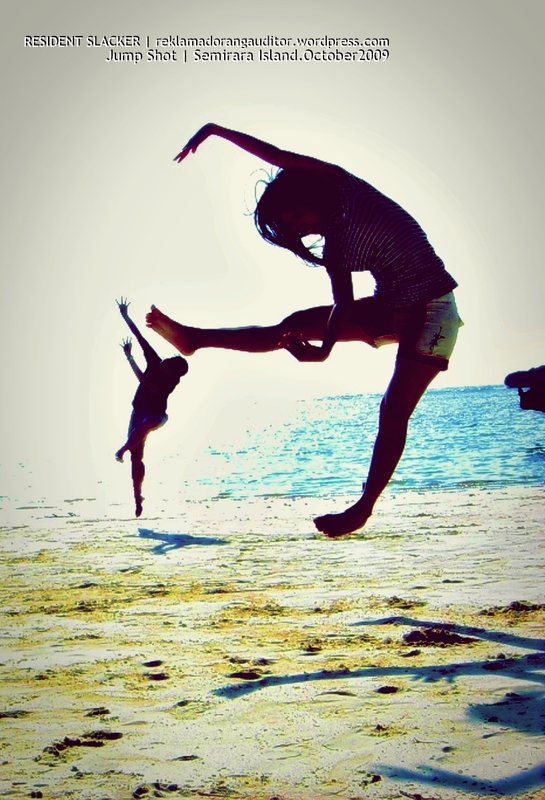 If your camera doesn’t have this option, just time your shots to the moment your subjects are mid-air. What if you cannot get a motion-freezing shutter speed? You could choose to kick up your ISO to ISO800 or higher so you can get a fast shutter speed. 2. Use burst or continuous shot mode. Timing your shots well can be quite tricky and may require some amount of trial-and-error. So to increase your chances of getting the shot that you want, choose to shoot in burst or continuous shot mode. What this mode does is to shoot a burst of shots with a single press of your shutter. Ideally, you’d want to have a camera with a burst rate of at least 5 frames per second (fps) to do this, but you’ll do fine with cameras with 3 fps. To set this, you may have to choose it within your camera’s menu, or through a dedicated button on your camera. For more information, consult your camera’s manual. 3. Put your subject is in focus. Another thing you need to do when shooting a jump shot is to make sure that your subject is in focus. There are several ways to achieve this. One is by pre-focusing. To do this, focus on your subject before he jumps, set your lens on manual focus so the focus won’t change, and then shoot. Another thing you can do is set your camera’s autofocus function on AI-Servo mode. What it does is to keep track of your subject even as it moves within the frame. In other words, you’ll leave it to your camera to make sure that your subject is always in focus even when in motion. But what if your camera doesn’t have these features? 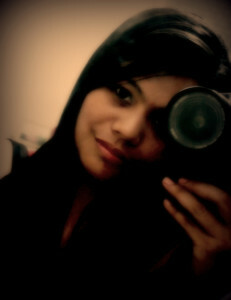 Just push your shutter button halfway to focus on your subject, then press the shutter completely as your subject jumps. 4. Place the background in the frame. 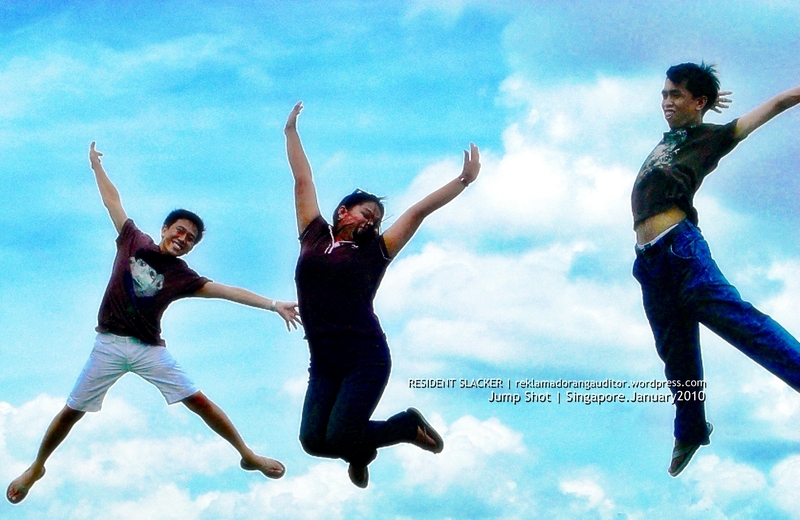 Now a travel jump shot will just be another jump shot unless you put it into the context of your travel. 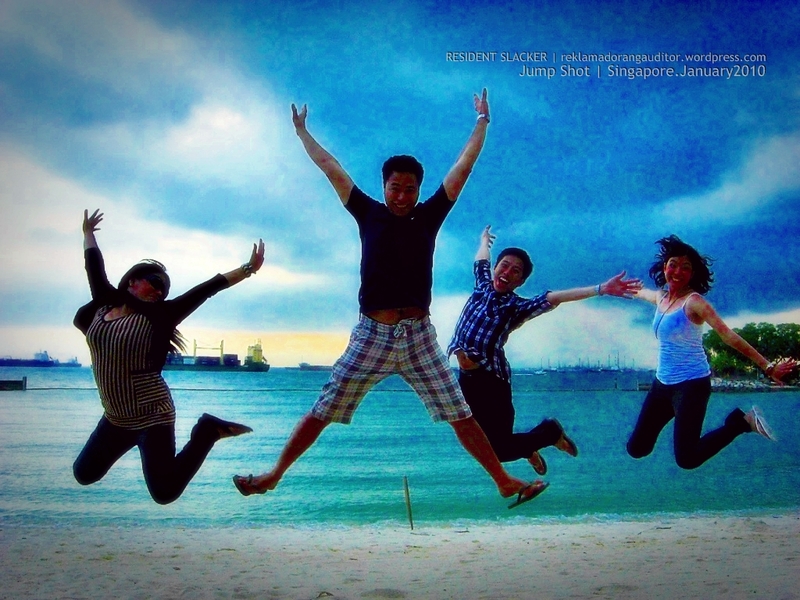 That is why you should place your background in the frame for your travel jump shots. Take for example the photo at the beginning of this article. You’ll immediately know that the photo was taken at the Ruins in Murcia because I’ve put the building in the background. 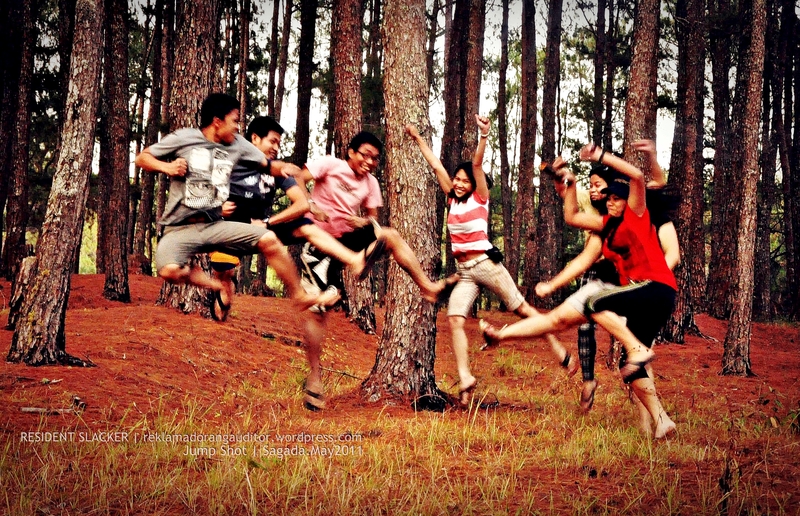 Is there really a correct/perfect way of posing for a jump shot? 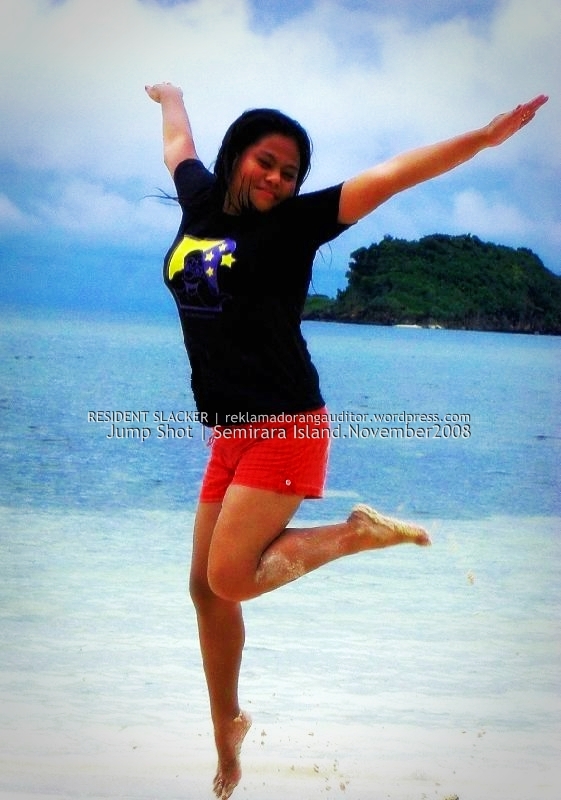 As the subject, I really believe na kanya-kayang style yan, freestyle! hehehe! 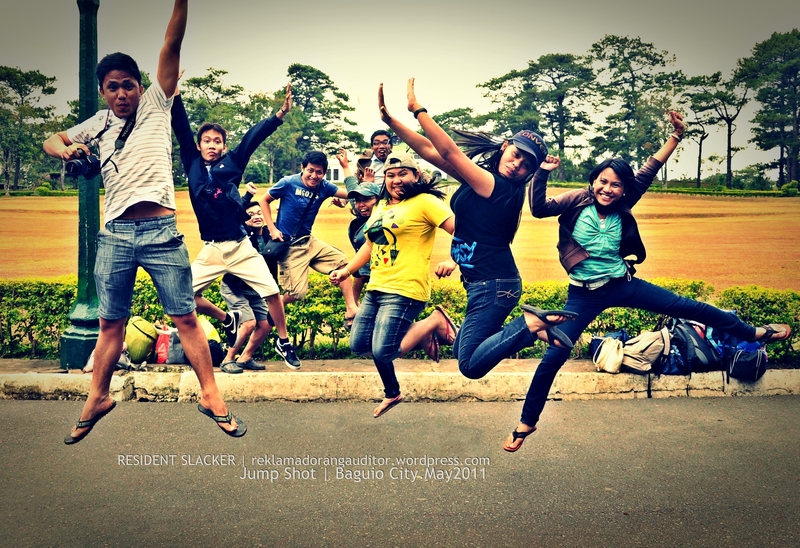 pero it’s fun if you could actually have a concept in your jumps—yung tipong fight scenes yung ipo-project nyo; or if in a group pic, you’ll show different styles of jumps, tapos pwede din yung mag-form kau ng letters while jumping hehe! saya di ba? 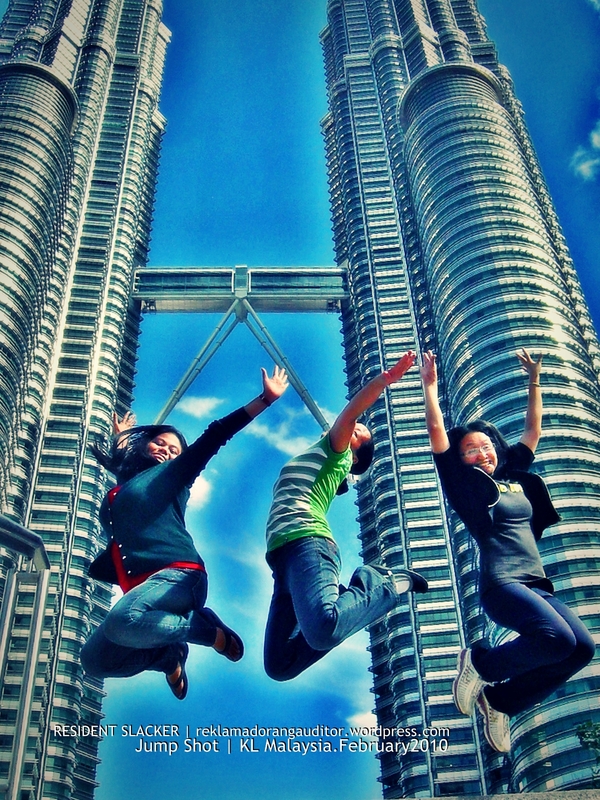 Again, with my co-secondees during our biglaang-lakad sa Malaysia at Bangkok... Nagpapalipas-oras kame nito sa likod ng Petronas Towers sa Kuala Lumpur! First time namin magawi sa KL kaya gan'to kasaya! haha! 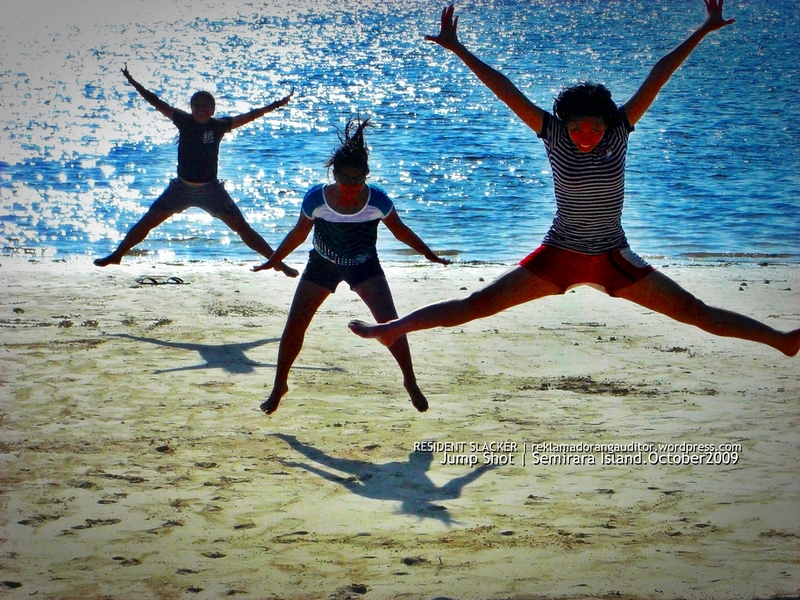 At Sibutong Beach, Semirara Island... Medyo nadehado ata ako, kaya ganyan ang kinalabasan ng jump shot namin! hehehe! Haha they seem so fun!